In the spin room after his underwhelming debate performance Monday night, Donald Trump claimed that his microphone was defective, even going so far as to suggest that it was a purposeful tactic devised by some unnamed enemy. Bustle has reached out to the Commission on Presidential Debates for comment on Trump's microphone and whether it was, in fact, defective. "They gave me a defective mic, did you notice that? My mic was defective within the room," Trump claimed before a crowd of reporters during his post-debate spin session. "I wonder, was that on purpose, was that on purpose?" This type of comment, and the dozens of others like it throughout his 15 month campaign, reveal exactly the type of president that Trump would be, and it's not a pretty picture. Everyone knows a person like Trump, who goes so far out of their way to blame their failures on anyone and anything other than himself or herself that they bend all rules of logic or plausibility to get there. The level of conspiracy that Trump was alleging is so deep and inconceivable that it not only fails to cast any doubt on others, but instead increases the concern about him. And this isn't even close to the first time that he's made similar comments — whether it's his Republican primary opponents, Hillary Clinton, or The New York Times, he's constantly complaining that someone is out to get him and that's why he looks bad, never through any fault of his own. This is a guy who can't own up to any mistakes, not even a single bad night of debating, and as president, you have to be able to admit when mistakes are made and who is at fault. 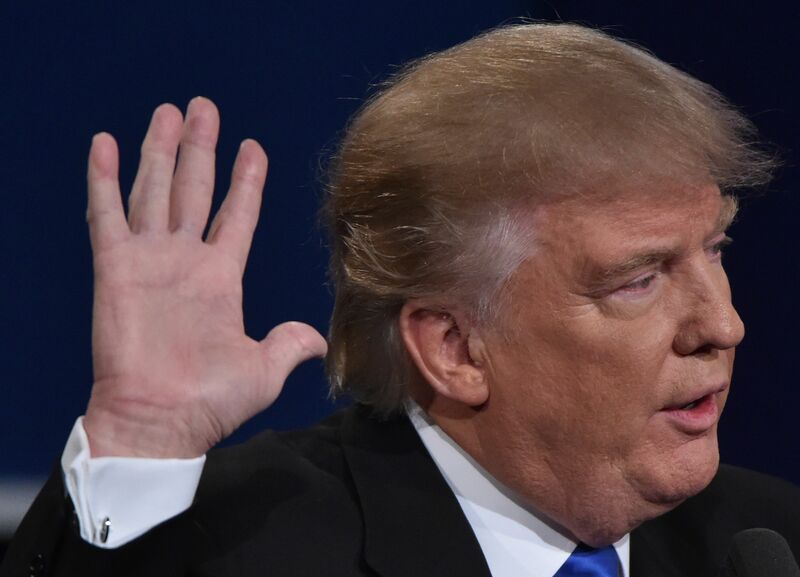 Trump bragged about his temperament during the debate (to the giddy enjoyment of many people in the room and online), but by not taking responsibility for his own bad performance, he disproved any notion that he could take responsibility for an entire country. Plus, even if there was a problem with the sound within the room, as he stated, the microphone worked fine for the viewing audience, and that didn't stop him from getting dragged online. Trump also, as usual, didn't provide any evidence to support his theory. Trump reached a whole new level of ridiculousness when he just tossed out that claim without anything to back it up, as if the country is just supposed to take him at his word. Trump could learn a little something from The Boy Who Cried Wolf, because at this point, he's lost all the credibility that he would need to be an effective president anyway.